The highest state court in Massachusetts (Supreme Judicial Court, or “SJC”) decided this week that an employee who has lawfully used marijuana for medical purposes cannot be subject to any adverse action against her by her employer because of her use of marijuana. This is kind of a big deal, given the number of employers who include marijuana as a no-go in their workplace drug policies. In the US, the employer-employee relationship is considered “at-will” unless you have a contract. Generally, that means that you can quit for any reason, and your employer can fire/demote/transfer/etc. ( “adverse employment actions” in legal lingo) you at any time for any reason. Except for a bad reason. What are legally bad reasons for an adverse employment action? A few examples are if your employer does it because of your race, gender, nationality or sexual orientation, or because you blew the whistle on something that the employer shouldn’t be doing. Another bad reason, where this medical marijuana issue comes into play, is that an employer can’t take adverse action against you because you are a handicapped person if you are capable of doing your job. So, in this case, the employee showed that she was a handicapped person because she had a condition that substantially limited one or more of her major life activities – the condition she had a medical marijuana script for. She showed she was capable of performing her job duties despite that. In cases of handicap discrimination, which this was, employers have a responsibility to engage in a process with you if you are a qualified handicapped person to see if you need accommodations from your employer to help you do your job. If there is an accommodation that would help you do it, then the employer has to help out if it is “reasonable.” The only accommodation that the employee in this case was looking for was to be excused from the no marijuana policy. The employer in this case messed up by not engaging in a process with the employee to see what reasonable accommodations could be made and terminating the employee. The SJC said that the employee’s request to be able to use her medication seemed reasonable on its face. So, the employee will likely be entitled to whatever monetary damages she has suffered because of the termination. Going forward, there are a couple of important things to remember: first, the SJC stressed that there was never an allegation that the employee reported to work under the influence or that her job performance was negatively affected by marijuana. Nor does it mean you can smoke/ingest on the job. Second, even though the use of recreational marijuana is totally kosher now, this decision is limited to protecting people with scripts for marijuana who are considered “handicapped” under the law. The final caveat applies to all wrongful termination cases. Even if you can show that you suffered adverse employment action, and that you fall under a protected class because of gender, race, nationality, whistle-blower, prescription medication use etc., you always have to prove that the adverse employment action was because of that protected reason. The employee in this case won’t need to worry about that – the employer apparently readily admitted it terminated the employee because she tested positive for marijuana. Now that the state’s highest court has made it clear that prescribed marijuana use is a no-go reason for termination, most employers won’t be stupid enough to admit that they fired you because you lawfully used prescribed marijuana. 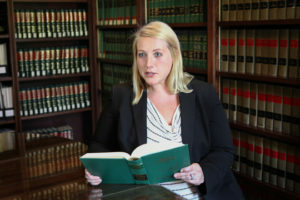 The Law Offices of Beauregard, Burke & Franco handles all forms all employment litigation for both employees and employers in the SouthCoast area.This blog is not legal advice. We are supposed to get paid for that, and this cost you nothing. 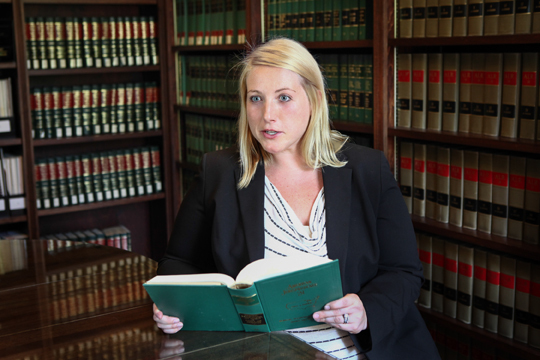 It is not a substitute for professional consultation and you should not act upon any of this information without seeking professional counsel from an attorney authorized to practice in his or her jurisdiction.